The Prime Minister's Office responded Monday evening to the report of Fox News foreign correspondent Conor Powell that Prime Minister Binyamin Netanyahu told US President Donald Trump not to move the US embassy in Israel from Tel Aviv to Jerusalem. "Everyone I've spoken to in DC that has been briefed on #Jerusalem embassy move says #Netanyahu told #Trump not to move embassy at this time" Powell wrote on his Twitter account. The PMO said in response that "what was reported on Fox News was a lie." In an unusual move, the PMO published at the same time quotes from the Prime Minister's meeting with President Trump in Washington last February. According to the quotes, when Netanyahu was asked about the possibility of moving the embassy he told Trump that it would not cause further turmoil and bloodshed in the Middle East, and that those who claimed it would were attempting to intimidate Trump into reneging on his promise to move the embassy. Another quote came from a conversation held in January by Israeli Ambassador to the United States Ron Dermer with Michael Flynn, who has since resigned as US National Security Adviser. Dermer explained that the transfer of the embassy would help advance peace. "The transfer of the embassy will force the other side to face the lie they have built, according to which Israel has no connection with Jerusalem, and it will make them understand that Israel will remain forever and that its capital will be Jerusalem." 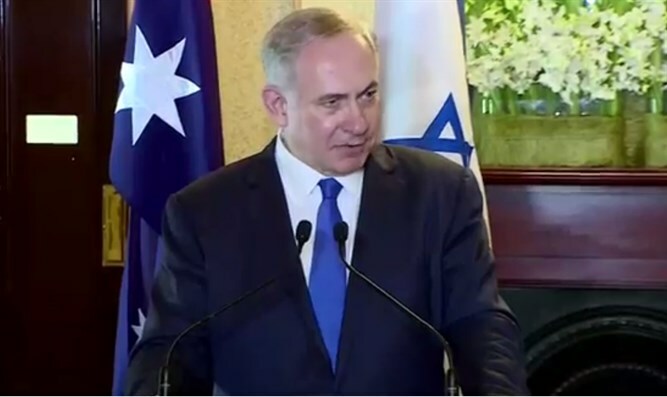 The PMO said that: "Netanyahu's consistent and clear stance supports the transfer of the embassy, ​​and he even said so today."